The video below shows the firing of a piece. The opaque pastel colours are the different enamels before being fired in the kiln. 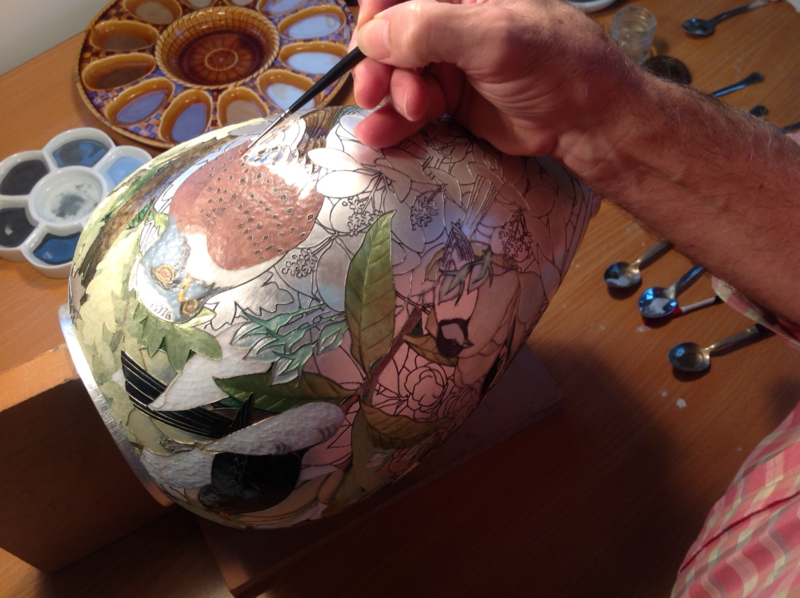 The piece is then fired, and once cooled, the vibrant colours appear. Additional layers of enamel are then packed on and fired. 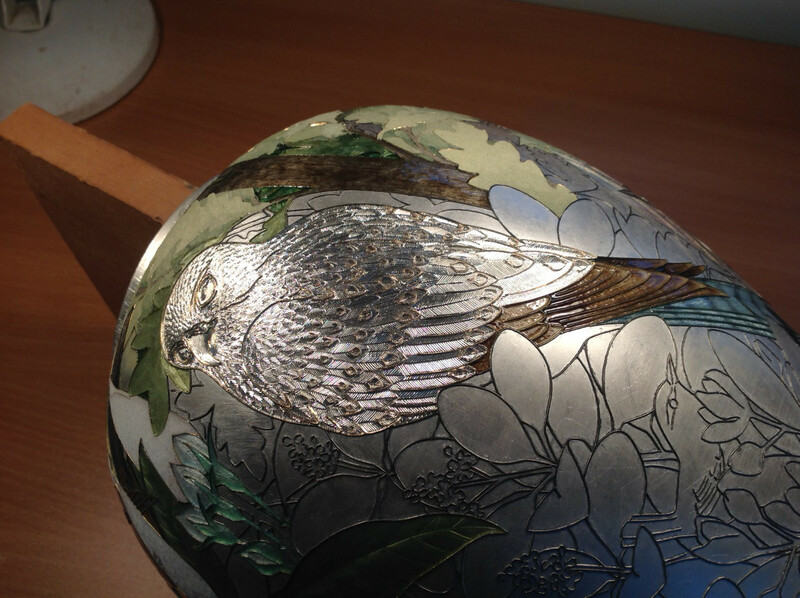 The two images below show how the metal is hand carved, and then enamel packed on before firing.